Smash is back and once again, there’s so much happening! When it comes to the success of the Switch, we’ve always talked about how integral the Wii U Evacuation Plan is. But when the latest Super Smash Bros. was announced, we didn’t know whether it would be a port of the Wii U game or a new experience entirely, and it ended up being the latter and so much more. SO MUCH MORE. Undoubtedly the biggest Nintendo release of the year, Super Smash Bros. Ultimate is exactly what the title says it is. It’s the ultimate Super Smash Bros. The game’s biggest selling point is the fact that it has every character that’s ever been in the series. That, and a whole lot more including, but not limited to, expansive soundtracks for each series every character appears in, almost every stage featured in the series, and just a whole lot of fan service. 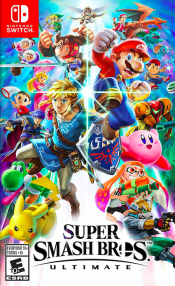 Smash used to be a great time capsule and ode to Nintendo’s past, but now it’s just a celebration of all things gaming, in the form of a ridiculously fun party/fighting game. If you didn’t care about Smash before, Super Smash Bros. Ultimate won’t really do anything to change your mind. While some aspects make it a better single player game than its most recent predecessor, it’s still very much the same game. Front and center are the all-star fights you’ll be having with other video game characters with the object of the game still being knocking people out of the arena. The Nintendo Switch doesn’t support trophies, but seeing a full character screen is probably more satisfying than getting a Platinum. Controls are as tight as they’ve ever been with slight changes in air dodging and the redone “perfect shield” adding another facet to its tried-and-true yet hard to master gameplay. While you no longer have access to the 3DS as a controller, the ability to use separated Joy-Cons, Joy-Cons together, the Pro Controller, and GameCube controllers once again ensure that you’re playing with your own style and comfort in mind. Probably the most debated facet of the game is the fact that when you first boot up the game, only the original eight characters from the original Super Smash Bros. will be at your disposal. Not including the Piranha Plant or any of the upcoming DLC characters, Smash Ultimate boasts a 74-character roster. So yes, that means you’ll have to spend quite a bit of time unlocking the 66 other characters. This was done for a multitude of reasons, namely giving veterans the nostalgia of remembering what it was like to unlock everybody or to lengthen gameplay by making you constantly learn how to use other characters rather than going straight to your “main” — but the fact of the matter is that the first Smash only had four characters to unlock. Yes, that number increased in Melee, Brawl, and Smash on the 3DS and Wii U, but still, 66 is a lot. 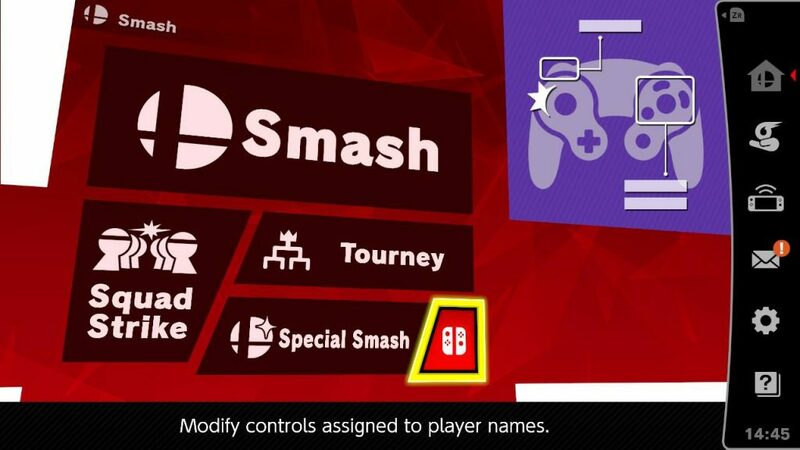 With that, unlocking all the characters will be most people’s first goal (of many) in the game, and the experience could easily be tainted with players finding shortcuts we won’t mention to achieve that goal. When “a new challenger approaches,” it’s your job to defeat the character in order to unlock that character. If you lose, you’ll be able to get another chance through the Challenger Door that appears once in a while when browsing the single player options. The menus are big and bold, but you should definitely explore each option to see what secrets every part in the game has in store that just make the game better. 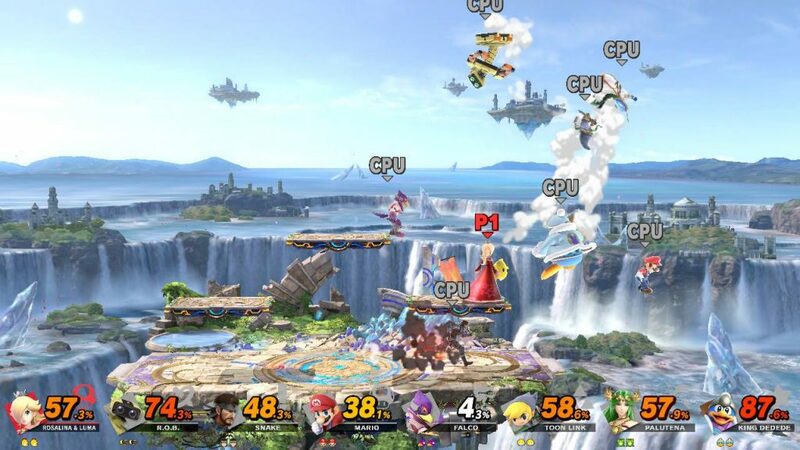 The beauty of Smash Bros. is that you can tailor it to any play style and play however you want, and there’s been a slew of quality of life improvements to further enhance the experience. Having so many characters in the game from different franchises opens a lot possibilities for fan service through all sorts of in-game means, but the most significant of which is in the game’s Spirits Mode, which is also easily the most convoluted thing we’ve seen in any Smash game, and it’s definitely not our favorite. It can take a 2,000-word essay to fully explain what Spirits actually are, but here’s the gist: Spirits are essentially loot and items that you’ll find in RPGs, except they take the form of characters and objects from different video games. They come in two forms, primary spirits and support spirits. Primary spirits can be attached to any fighter you use in the game, and they can be further enhanced by support spirits. Take the example we have in the screenshot below for instance. 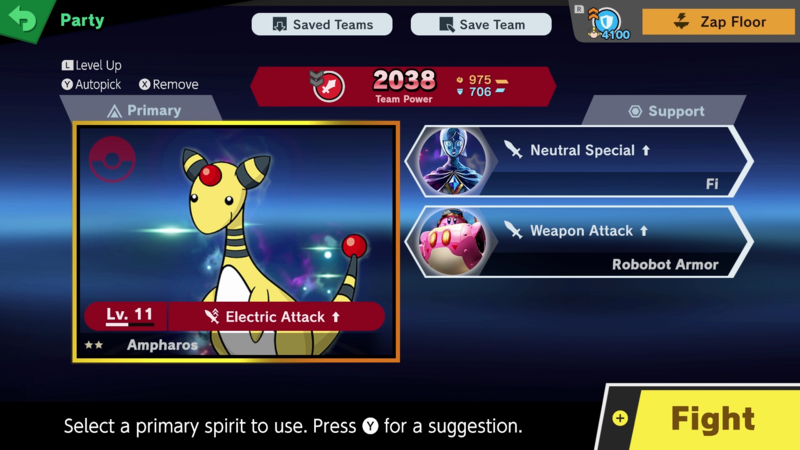 The electric Pokémon Ampharos is currently equipped as the Primary Spirit, with Fi and Kirby’s Robobot Armor attached to Ampharos and Support Spirits. Various spirits can add all sorts of buffs or effects to a battle, and they can make battles a whole lot easier as you level them up. The problem with Spirits is that they’re a meta that hardly anybody will really care about. Nobody actually played with Amiibo fighters in Smash 4 (which also make a return in Ultimate), and Spirit fights are just more complicated and because of that, they’re more useless. The only time they’re ever really useful is when you play matches on the Spirit Board, a mode that allows you to unlock Spirits of different rarity in a set amount of time, similar to how bake periods in mobile games work, and the World of Light adventure mode, which we’ll talk about in a bit. It won’t make any headlines, but making perhaps the most welcome return in single player is Classic Mode where you just take any character and peruse through a few matches, a Race to the Finish-style bonus game, and a boss character. The coolest thing about the mode is that each path every character takes is unique and makes sense to either the character’s series or their situation. Using Bowser, for example, puts you on a quest called “The Red One, Every Red One!” where you fight a whole bunch of red characters on your way to fight Mario. You even fight Rathalos from Monster Hunter on your way to him. 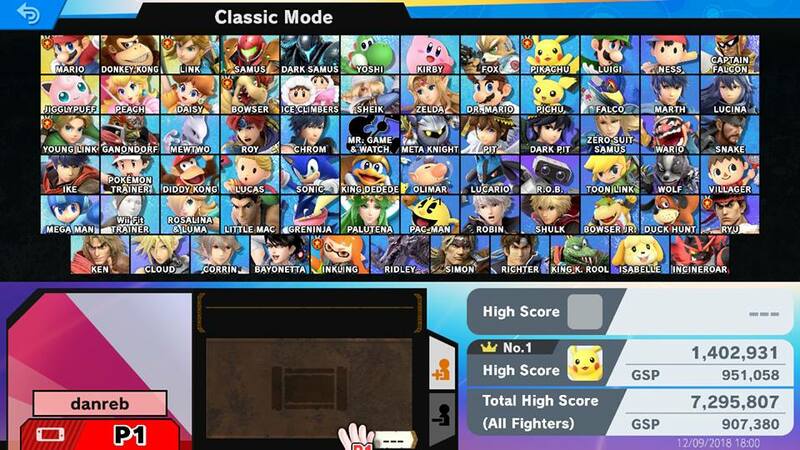 Using Wolf puts you on a quest called “Reunited Roster” where you end up fighting other returning characters who might’ve missed an appearance in a previous Smash including but not limited to the Ice Climbers, Snake, and Young Link. These are all subtle yet fine details that Smash veterans should definitely appreciate, and it’s not the convoluted mess that the adventure mode unfortunately is. 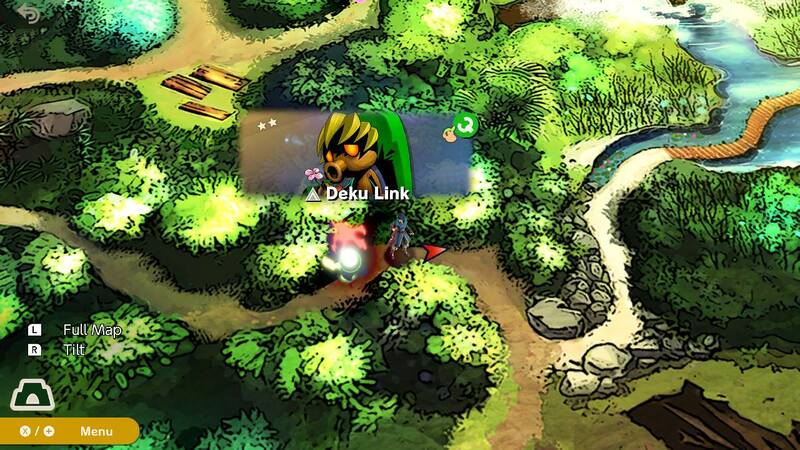 The World of Light adventure mode puts players on a 2D world map of different fights to recruit spirits, unlock characters, and participate in the ultimate video game crossover. The World of Light adventure begins with a cutscene of seeing all your favorite Smash characters (except Kirby because… Sakurai) succumb to the darkness after being taken over by the evil orb Galeem. With that, it’s all up to Kirby to recruit as many Spirits as possible and save his fellow video game brethren and take Galeem down. Here’s the problem: As fun as it can be, it’s also kind of difficult and it’s ridiculously long at that. My playthrough of World of Light took roughly 25 hours; I didn’t even do everything there is to do in it, and the worst thing about it is there arguably isn’t any significant payoff. So if you’re expecting to be treated to a whole bunch of cutscenes seeing your favorite gaming icons doing random things, I regret to inform you that you aren’t even going to see a handful. Smash Ultimate could’ve easily been the shining example of what a great adventure mode in a fighting game could be, but it fell right on the face of failure there. Speaking of failure, Smash Ultimate is really bad online. It’s terrible, and it’s mind-boggling because a lot of thought went into streamlining the process. The game has robust matchmaking features that are supposed to cater to every player’s play style, but the settings don’t even matter. You can set your preferences, and then be thrown into a different kind of match entirely, and it’s incredibly annoying because you can’t even quit out of them, and you risk being banned if you force quit the app. The worst thing about it all is the lag. The overwhelming majority of online matches I’ve played from launch through now (more than two weeks after the game’s release) suffered significantly from lag, which could primarily be due to the fact that there are no dedicated servers for the game. This is ridiculous and it’s the kind of misstep shouldn’t happen in Smash. Even Smash on 3DS and Wii U is better than this. Mario Kart 8 Deluxe, ARMS, and Splatoon 2 are all fine online, but Smash Ultimate is a totally different story. The latter two even had beta periods for testing, so aside from getting this game out before Christmas, there’s really no reason why it should be this bad–especially now that Nintendo Switch Online isn’t free anymore. Even with the unnecessary Spirits Mode, the garbage that is online play is really the only reason why Super Smash Bros. Ultimate isn’t a SmashPad 5-Star title. Super Smash Bros. Ultimate obviously isn’t without its deficiencies, especially with its undeniably pathetic performance online and an overcomplicated Spirits Mode leading to a bloated story mode that somehow doesn’t capitalize on its roster of dreams aside from a cutscene that’s already been seen in the previews leading up to the game’s release, but these are all correctable issues — online will get better; it has to, and while it’s tough to envision Spirits Mode actually being any better, who’s to say there won’t be another story or adventure mode in the future? Smash Ultimate only introduced Simon and Richter Belmont in this entry, but 26 Castlevania songs also came with them. This is how much care Nintendo put into every character. Unless you’re Cloud. Problems aside, this is the best Smash yet, and it would be an understatement to say that the game has so much more. The game IS so much more, and there’s so much more coming. The game boasts a 74-character roster that’s soon to feature 80 characters with the Piranha Plant and Joker from Persona 5 already announced. With these characters come their own stage and contributions to a soundtrack that already includes tracks from over 30 different video game franchises–with at least eight of them not being Nintendo properties. 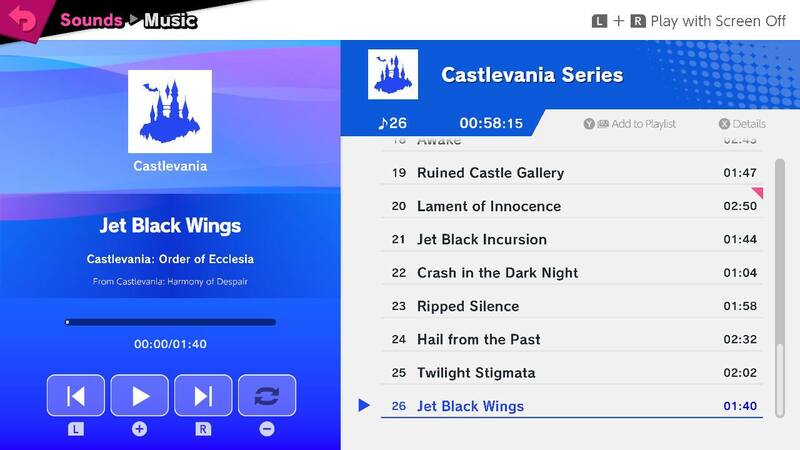 There’s a slew of modes to play, and the game makes all of them easily accessible while also leaving various features customizable to your liking just by doing some extra digging. The launch of a new Super Smash Bros. game is always a celebration, and Super Smash Bros. Ultimate is the biggest party of them all. We just hope Masahiro Sakurai actually gets some sort of a break this time.